Yesterday was National Cheeseburger Day. I wanted to swing by and check out one of my favorite burgers on planet Earth at Miru 8691. I discovered that the establishment had closed. National Cheeseburger Day became a day of cheeseburger mourning. The mantle of Best Cheeseburger in America is now conferred to The Brindle Room in Manhattan, NY. I have reached out to Chef Jung to see what's next. There are some really good burgers in LA, but MIRU8691 was one-of-a-kind. That's too bad. I always wanted to visit it so I could see what you were on about. Now I can't. If you talk to Chef Jung tell him his next restaurant might do better if he doesn't name it after the serial number on a his Hyundai. Now, now...8691 is the reverse of Chef Jung's wife's birth year. It was a sweet and romantic naming convention. I think that the location was a real factor in the downturn of his business. 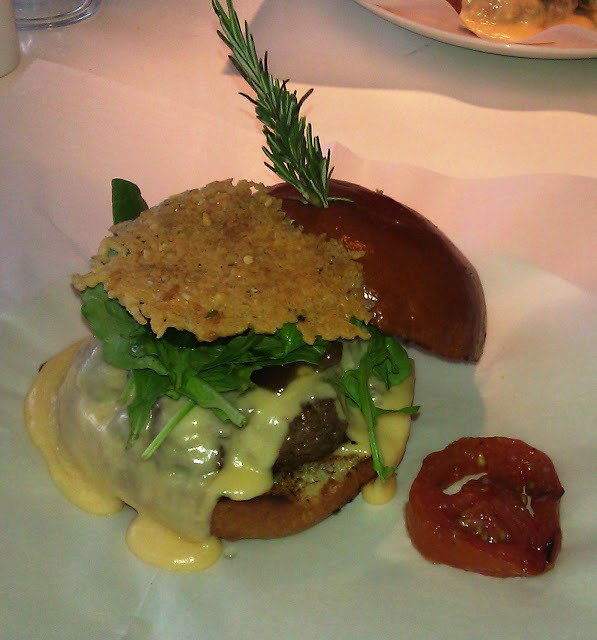 It truly was a magnificent burger, and I feel lucky to have enjoyed it as many times as I did.